Some holiday destinations simply scream ‘family’, whereas others just don’t seem the right fit for those of you with your own little clan to consider. Until recently, you’d be forgiven for having deemed Dubai – the glamorous playground of the United Arab Emirates – as infant incompatible or inapt for adolescents. 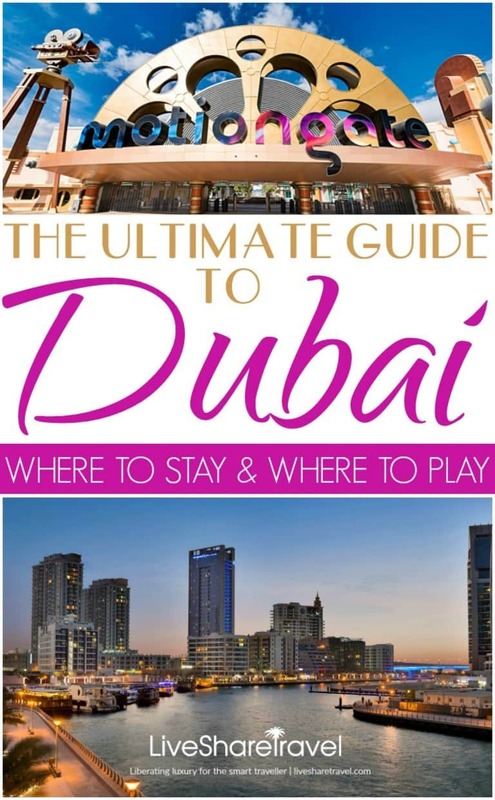 Maybe you’ve vowed to get there sometime soon, well if you do you’ll want to know what to see and where to go in Dubai for families. Well, the great news is that while Dubai still amazes with its sci-fi, Manhattanesque skyline, and its palm-shaped islands; still astounds with its majestic fountains; and tightly guards the key to shopping ecstasy, this chic city has come over all broody, with family-friendly fun high on the agenda. 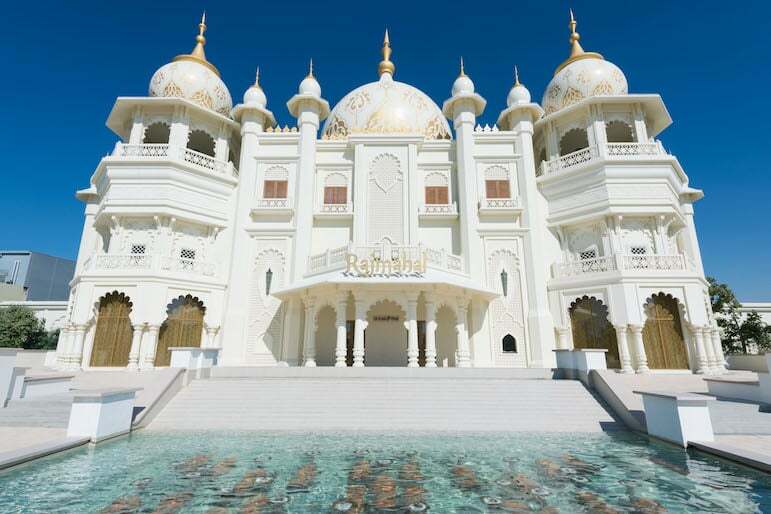 The opening of three theme parks and one water park all in one location promises world-class entertainment for the whole family, rivalling the likes of Florida on the fun-o-metre. 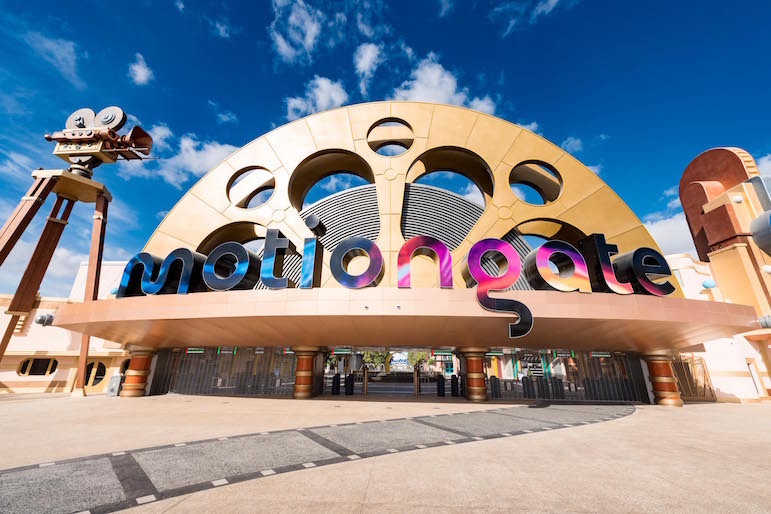 MOTIONGATE Dubai brings rides and attractions from the best of Hollywood, including Ghostbusters, The Green Hornet, the Smurfs, Kung Fu Panda, Madagascar, Shrek and Hunger Games to name but a few. 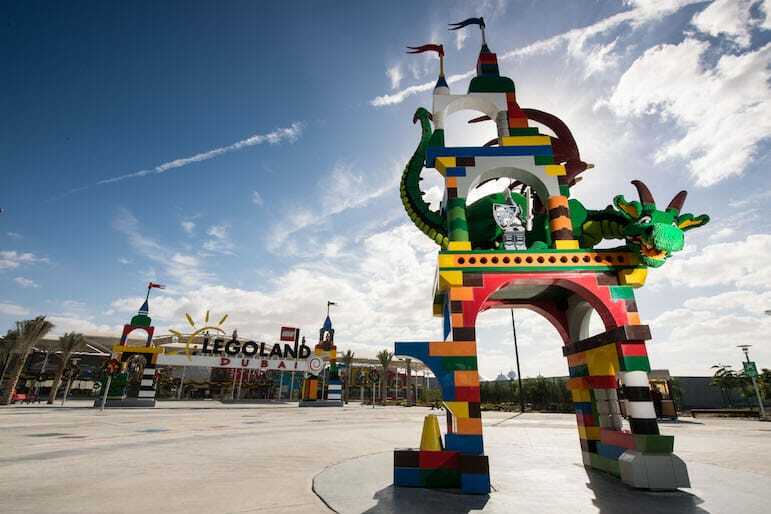 Legoland Dubai offers a world of fun and imagination, all built from those iconic little bricks. Don’t forget to visit Miniland, where you’ll spot models of Dubai’s impressive skyline and other landmarks of the Middle East. 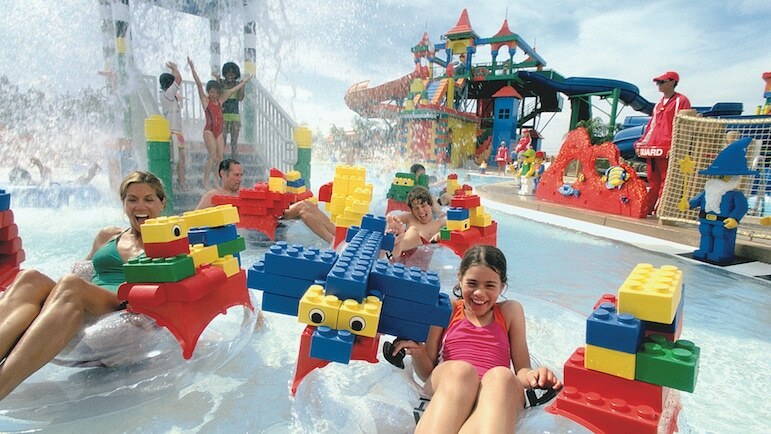 Specifically designed for families with children aged two to 12, Legoland Waterpark has more than 20 slides, and children can even build their own Lego raft. 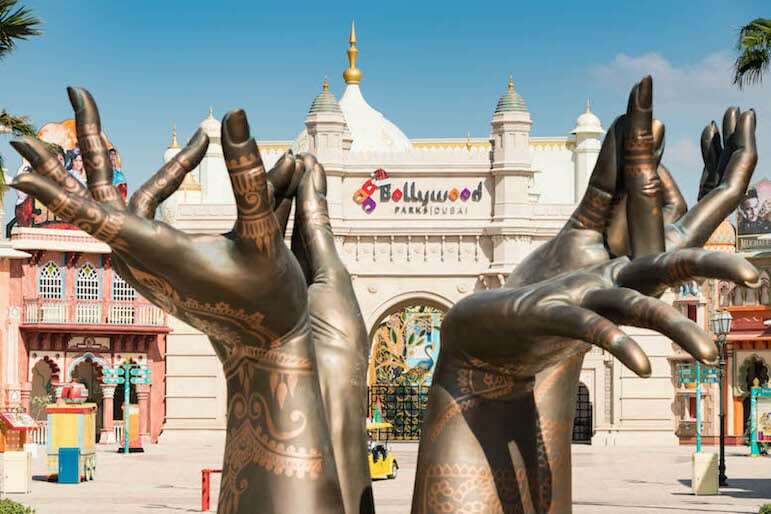 Bollywood Parks is the first theme park of its kind, which brings Bollywood blockbusters to life. Meet your favourite Bollywood superstars, witness spectacular parades or head to the Rajmahal Theatre to watch a Broadway-style Bollywood musical. You can also visit Riverland, the gateway to the parks, which is free to wander round. This area is packed with restaurants and shops, and is split into four different experiences, one of which is a Medieval French Village. There are various ticket options available, depending on whether you want to do multiple parks in a day, or spread your visit across two days or even a week. If you’re a frequent visitor to Dubai, annual passes are available too. They are worth considering as there is a varied choice of places to go in Dubai for families. Each theme park has restaurants and eateries in the style of the park, and you can get everything from ice cream and hot dogs on the go, to buffet-style pizza and pasta, and full sit-down meals. Healthier options are available too, if the kids really, really have had too much sugar, and one more slushie may just have them bouncing off the walls. The parks are still in development, with new rides and attractions planned and opening all the time. Visit Dubai Parks and Resorts to learn more. Dubai is synonymous with shopping, with malls and souks selling everything from high-end fashion, to handcrafted homewares, more gold than Midas, and everything you can think of in between – all of which is tax free. But dragging your little angels around while you scour some of the world’s biggest malls in search of a bargain, may not be your idea of a relaxing holiday. But the shopping in this opulent city isn’t famous simply for its variety, prices, or the sheer quantity of shops, but more for being a real experience, a day out suitable for the whole family. The Dubai Mall is one of the most well known. 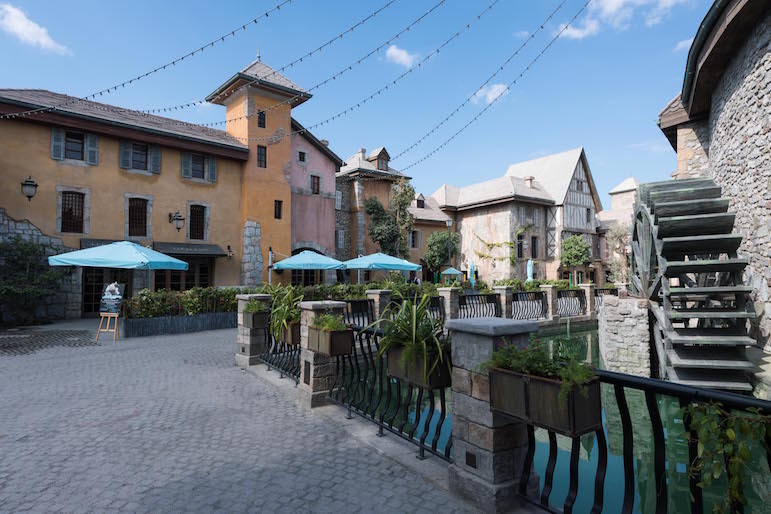 It’s situated right next to the Burj Khalifa and the Dubai Fountains and, aside from the shops, it also features an interactive child-sized city, KidZania, where children can play at being grown-ups. 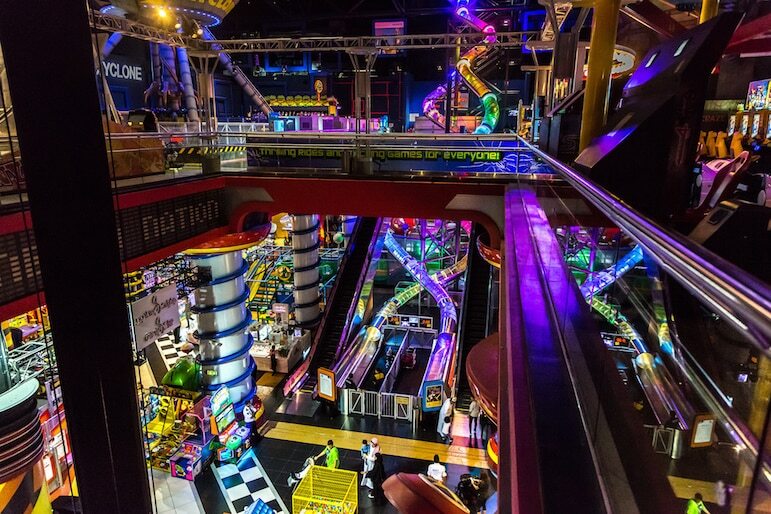 Then there’s Sega Republic, two floors of interactive games, arcades and thrilling rides. You’ll also find an Olympic-sized ice rink and the Reel Cinemas, with 22 screens. 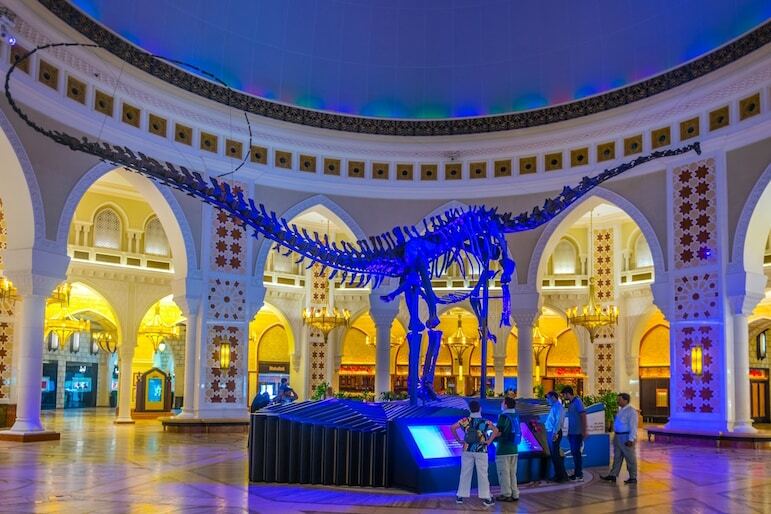 Little eyes should light up on seeing the real-life dinosaur skeleton in the Souk Dome, but if that doesn’t impress, the Dubai Aquarium and Underwater Zoo, with its 33,000 residents, is sure to. In terms of food and refreshments, if you can imagine it, you can eat it here. There are so many restaurants, coffee shops and dessert parlours to choose from, with cuisines from all over the world. It’s a foodie’s paradise. To find out more about how to spend your time here, visit The Dubai Mall. 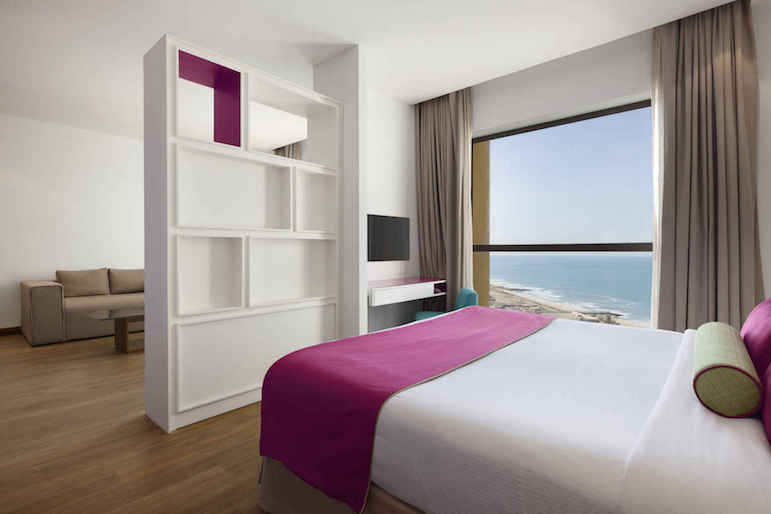 Stay with Wyndham Hotels and your trip to Dubai will be even more rewarding. Wyndham Hotel Group has the most generous hotel rewards programme in the industry, Wyndham Rewards. The award-winning guest loyalty programme makes earning and redeeming generous rewards for travel both simple and attainable. The programme eliminates confusing rewards categories and instead offers a flat, free-night redemption rate – the first of its kind for a major loyalty programme. Members earn a minimum 1,000 points for every qualified stay and, for just 15,000 points, can redeem a free night at any of nearly 8,000 Wyndham Rewards hotels across the globe, with no blackout dates. In Dubai, there are eight participating Wyndham Rewards hotels for you to choose from for your next visit. You can earn and redeem your Wyndham Rewards points at Wyndham Dubai Marina, Hawthorn Suites by Wyndham Dubai JBR, Ramada Chelsea Al Barsha, Ramada Deira, Ramada Downtown Dubai, Ramada Jumeirah, Ramada Plaza Jumeirah Beach and Howard Johnson Bur Dubai – all located centrally in Dubai. 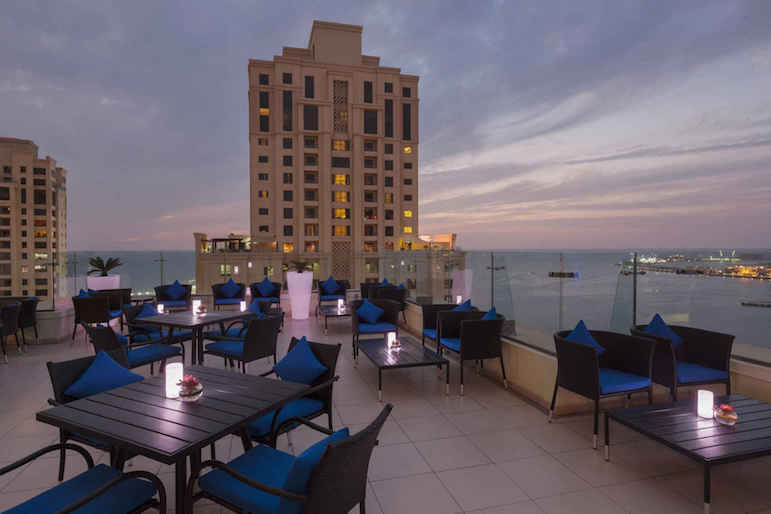 Ramada Plaza Jumeirah Beach is located on the city’s famous JBR waterfront promenade in the heart of Dubai, making it the perfect place to escape for a holiday. Relax, either by the outdoor temperature-controlled pool, or on Jumeirah Beach. Then why not dine in one of the hotel’s restaurants, which suits every mood and taste? Shores offers all day international dining, or you can have an all-you-can-eat feast at Fogueira Restaurant & Lounge, which boasts a traditional Brazilian barbecue option. There is also an amazing city view from the 35th floor, at the stylish Fogueira Lounge, where you can enjoy cocktails or, if you have a sweet tooth, freshly baked pastries. Golfers should note that Ramada Plaza Jumeirah Beach is located close to the Emirates Golf Course and also Palm Jumeirah. Hawthorn Suites by Wyndham Dubai JBR is Wyndham’s extended stay property making it a great base for families planning a longer visit to Dubai. Naturally, guest rooms provide a home away from home for travellers. This hotel is very conveniently located near the Dubai Marina Mall which has a cinema, restaurants and trendy stores, as well as Palm Jumeirah, where you can spend a day relaxing in the sunshine. Jumeirah Beach is a thriving area full of stylish restaurants and shops, with breath-taking views of the ocean. Sit back and relax at the hotel in the pool, fitness centre and luxurious day spa and sauna. It’s the perfect base from which to indulge in luxury shopping, enjoy fine dining or explore the city. 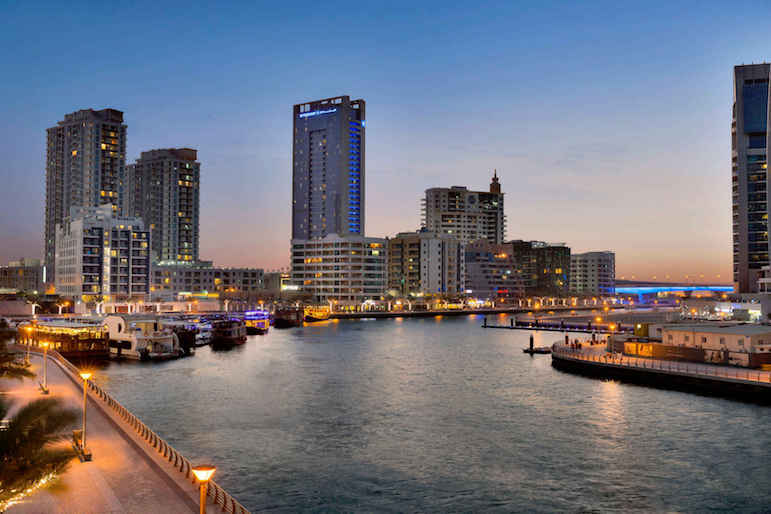 Wyndham Dubai Marina offers a world-class stay in a dynamic area of Dubai. Offering Riviera-style living, Dubai Marina is the world’s largest man-made marina, famous for the Dubai Marina Mall, a shopping and entertainment destination with many fine shops; as well as the adjacent Pier 7 Dubai Marina, a multi-storey tower which is home to a plentiful supply of restaurants dedicated to diverse cuisines. The hotel is conveniently situated near the marina, and has a 24/7 fitness centre and full service spa, it is also very close to Jumeirah Beach. But be back before the end of the day to enjoy the romantic Dubai sunsets from the stunning rooftop pool. Wyndham Hotel Group is the world’s largest, and most diverse, hotel company. It has a global hotel property portfolio of more than 8,000 hotels across 18 iconic brands in 77 countries. All of the Wyndham hotels are united by the most generous guest rewards programme in the hotel industry today – Wyndham Rewards.